Several new studies have shown that students from families below the poverty line are at the greatest risk for academic failure. Research reveals that low family income has a bigger impact on academics than ethnicity or English language proficiency. Join Dr. Martha Burns as she reviews the newest research and provides research on how the Fast ForWord intervention has been found to have a significant impact on academic achievement in children of poverty. 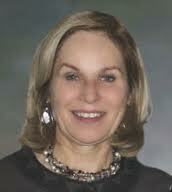 Dr Martha Burns is an expert on how children learn and has written 3 books and over 100 articles. She is an associate professor on the Northwest university in the USA. Would you like to schedule a demo of Fast ForWord with one of our Account Managers?